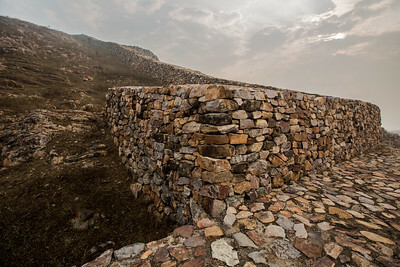 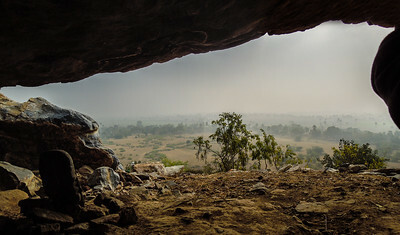 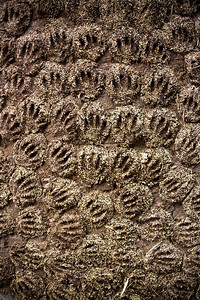 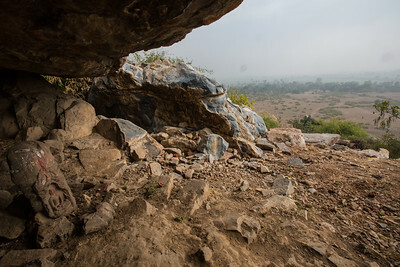 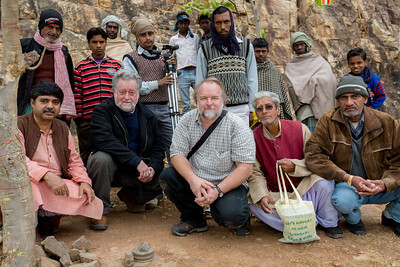 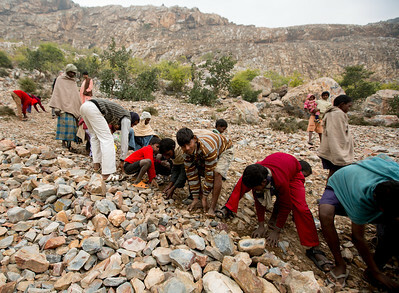 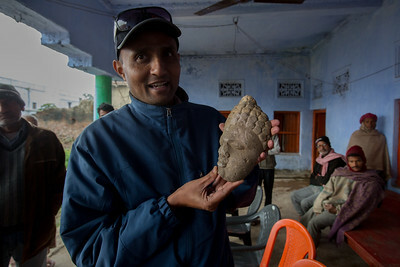 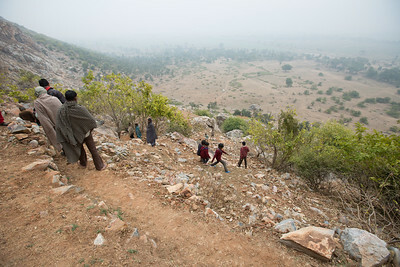 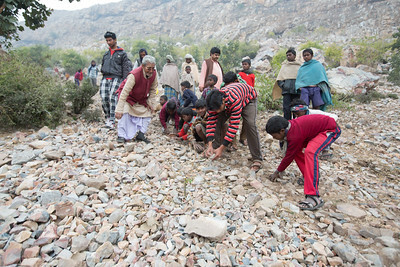 Deepak Anand in the field. 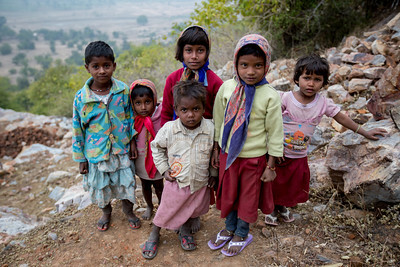 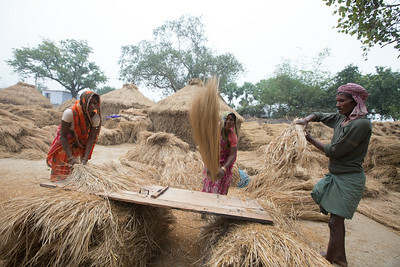 Team meeting with villagers in Ayer, Bihar, India. 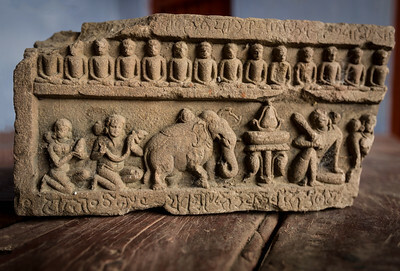 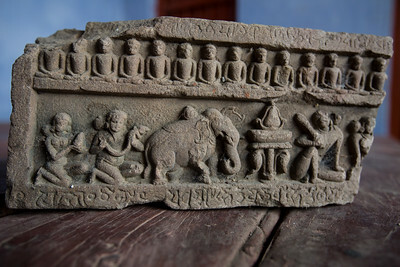 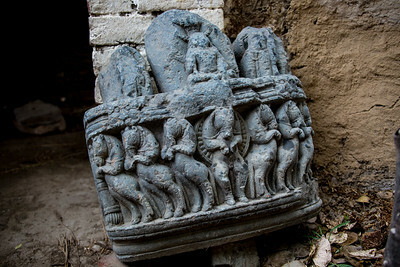 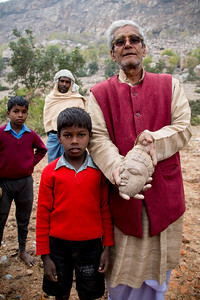 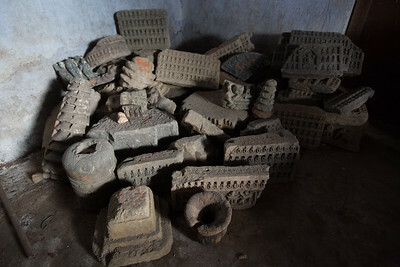 This boy found this artifact in a Cave in Ayer where Buddha meditated. 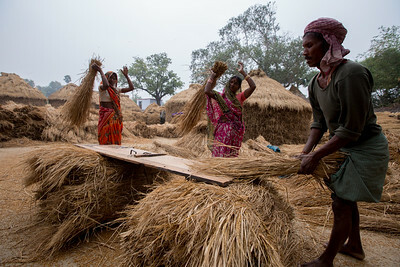 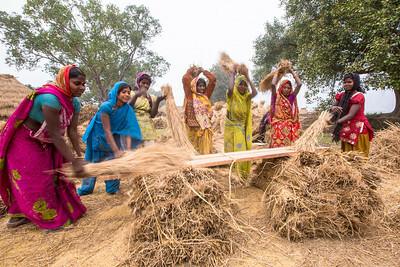 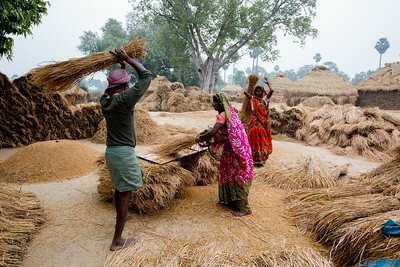 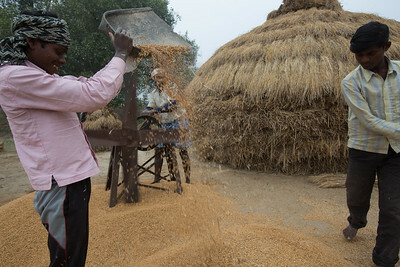 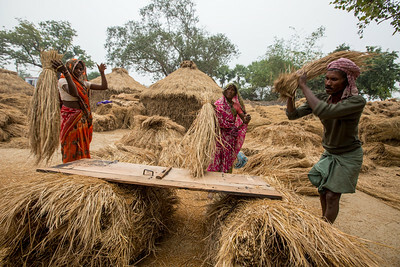 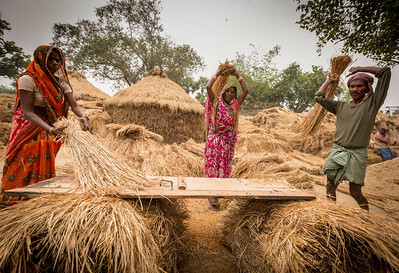 Women thrashing wheat in Ayer, Bihar, India.